Microsoft is giving a time limited offer for all its Windows platform users currently to a possible upgrade to its new and up-coming Windows 10 OS available to PCs and Tablets. The notification about the said upgrade appeared in the notification area of my Task-bar a couple of hours ago. When the windows 10 is finally released, it will automatically be downloaded to your device and prompt you to install. Once it's installed, windows 10 is all yours. The new Windows 10 boost of the Traditional Start menu with few modifications displaying some of the installed windows apps making it somewhat easy to navigate with a keyboard, mouse or touch. A new personal digital assistant called Cortana. Microsoft also designed an all new web browser and a great deal of built-in apps like Maps, Messaging, Music and video. You can reserve your free upgrade when the notification appear on the right side of the Task-bar. if you haven't yet received the notification, check occasionally for the Windows icon or logo down the right of your task-bar. 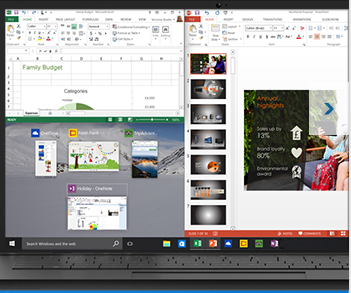 Basically, the Windows 10 OS promises a whole lot a new and amazing features, improved speed and more. We can only cross our fingers and wait for it arrival. 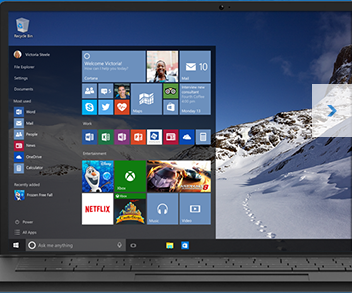 Microsoft is set to release Windows 10 by the end of July specifically on the 29th of July.